Not all people are created equal. Some of us are born average and rise above the rest through sheer hard work and perseverance. Others are born with unique talents that when properly honed can become exceptional. Sideshow performers fall under the category of people who are born different. 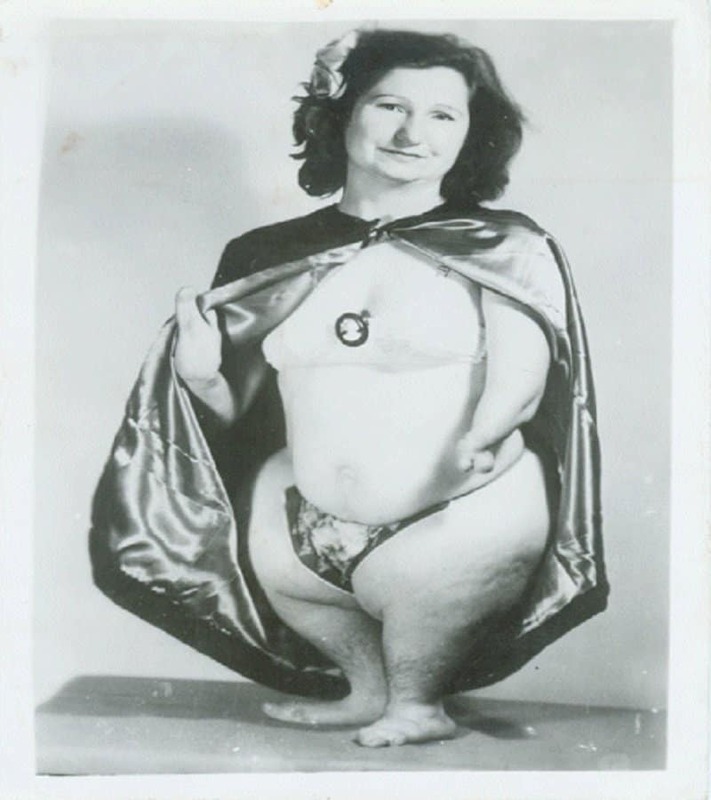 Through various genetic disorders and carefully conditioned skills, these people managed to become unique entertainers and performers who thrilled audiences across the world. 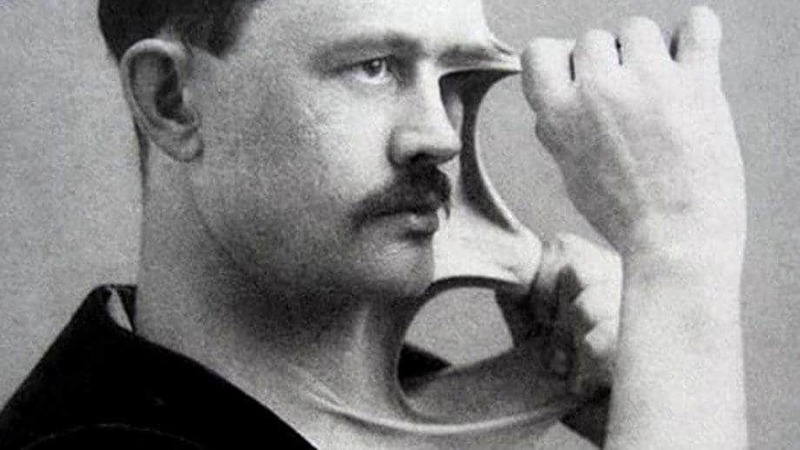 Here is a list of 10 sideshow performers from history that stand out. Max Smith was a great performer from the 1910’s who possessed two unique skills. 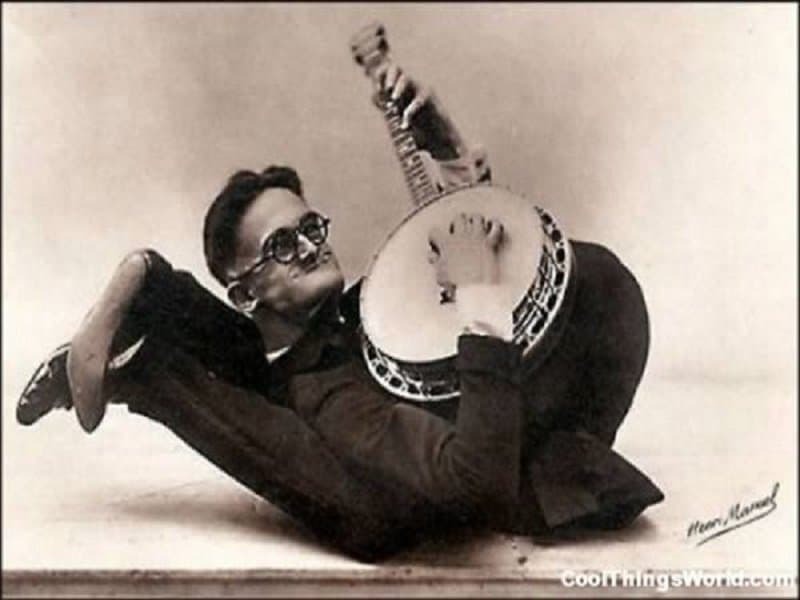 He could contort his body into all kinds of ridiculous shapes and he could also play the banjo rather well while performing the contortion act. This unique performer had the ability to stretch the skin from any part of his body to great lengths. He could also bend his fingers backwards and forwards with great ease. His name was Felix Wehrle and he was called ‘The Elastic-Skin Man’. 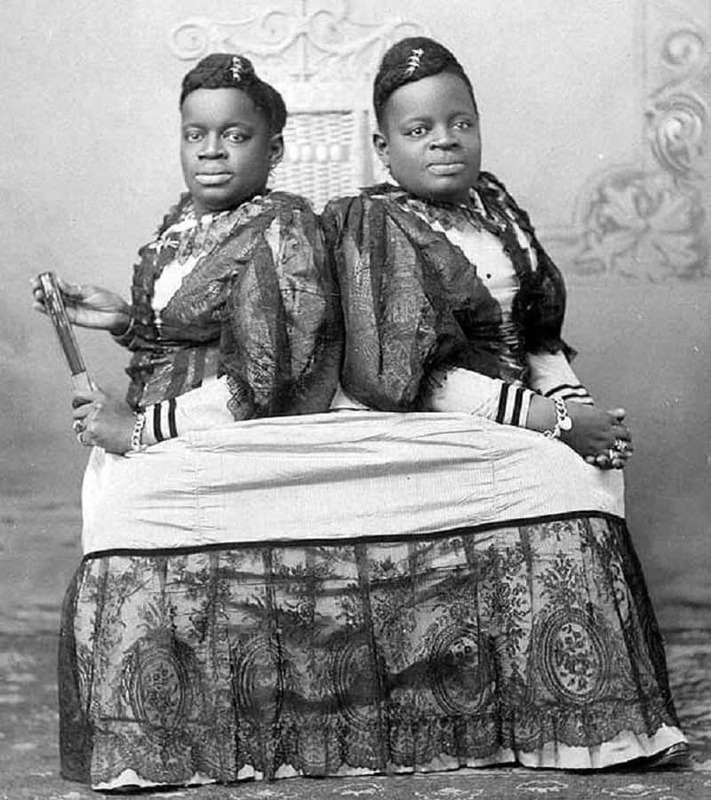 Millie and Christine McKoy were conjoined twins who were extremely talented and became radical performers during the slavery era. The were well educated, spoke five languages, played music and sang with extreme grace. Their skills provided the inspiration for their stage name – ‘The Two-Headed Nightingale’. 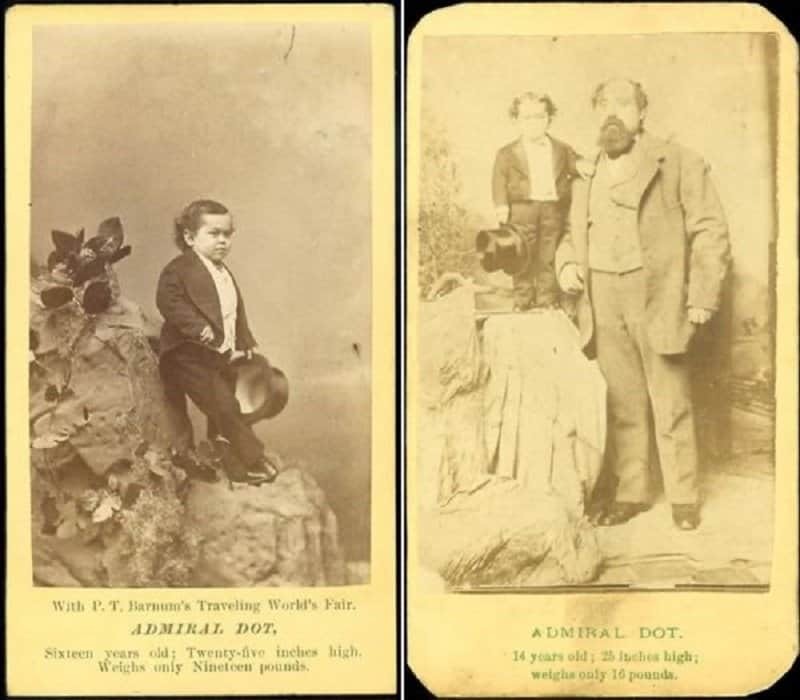 Leopold, ‘The Admiral Dot’, was one of the most famous performers from P.T Barnum’s Great Traveling World’s Fair, or what was dubbed ‘The Greatest Show on Earth’. He was only 25 inches tall and weighed just 19 pounds. He would be seen standing next to the tent and inviting people to witness all the bizarre performers in the troupe. This famous circus performer was born with a condition called phocomelia. Her name was Ruth Davis and she was referred to as ‘The Penguin Girl’. Her limbs were severly affected by her condition due to which she had an outward appearance resembling a penguin. Her act included a performance featuring a marimba. Charlotte Linda Vogel was a sideshow performer who was born in 1908 in Berlin. Her body was covered with a thick, leathery, grey skin due to a disorder called Epidermolytic hyperkeratosis. She became a famous performer due to this condition and toured Europe and the United States during the early half of the 20th century. 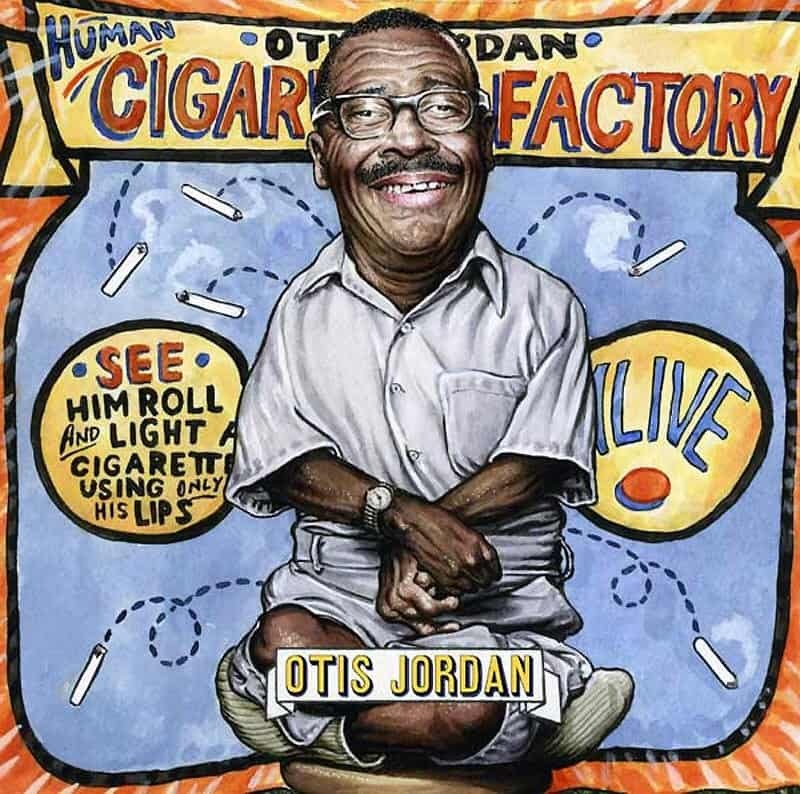 Otis Jordan, also known as ‘The Frog Boy’, was a popular performer from the 60’s. He had a normal head but carried the body of a four-year-old. One of his main attractions was his ability to roll, light and smoke a cigarette using only his mouth. 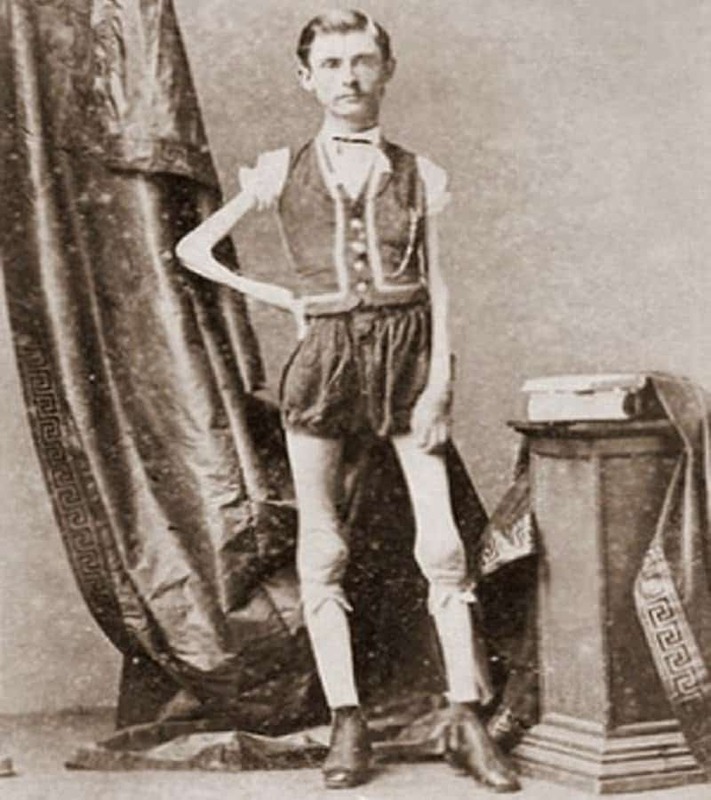 Isaac W. Sprague was a performer from the late 1800’s who was famously called ‘The Living Skeleton’. By the time he reached his 40’s, Issac was 5’6 but weighed only 43 pounds. He apparently ate as much as twice the normal human being but still retained his ‘skeletal’ figure. Most of us think that a think beard is a thing of marvel. Stephan Bibrowski was a side-show performer whose entire body was covered in long hair. 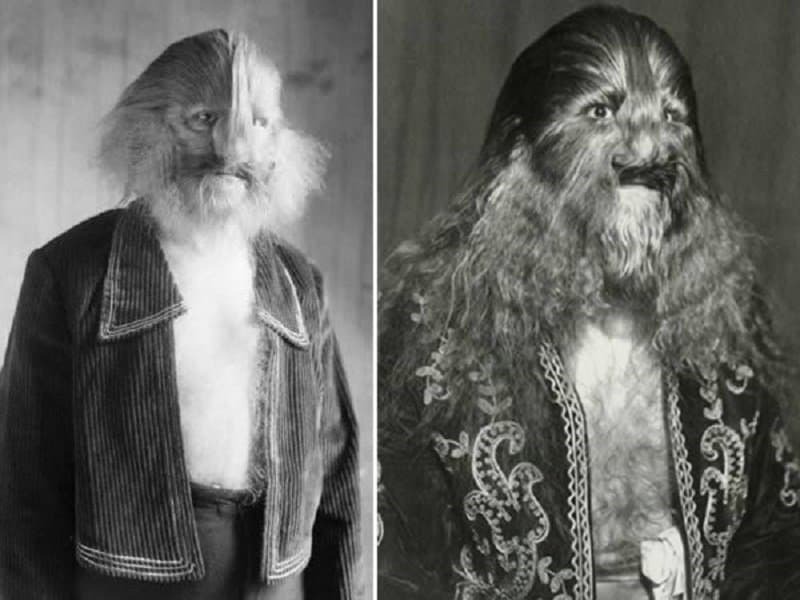 He was dubbed ‘The Lion-Faced Man’ but his abnormal hair stemmed from a condition called hypertrichosis. 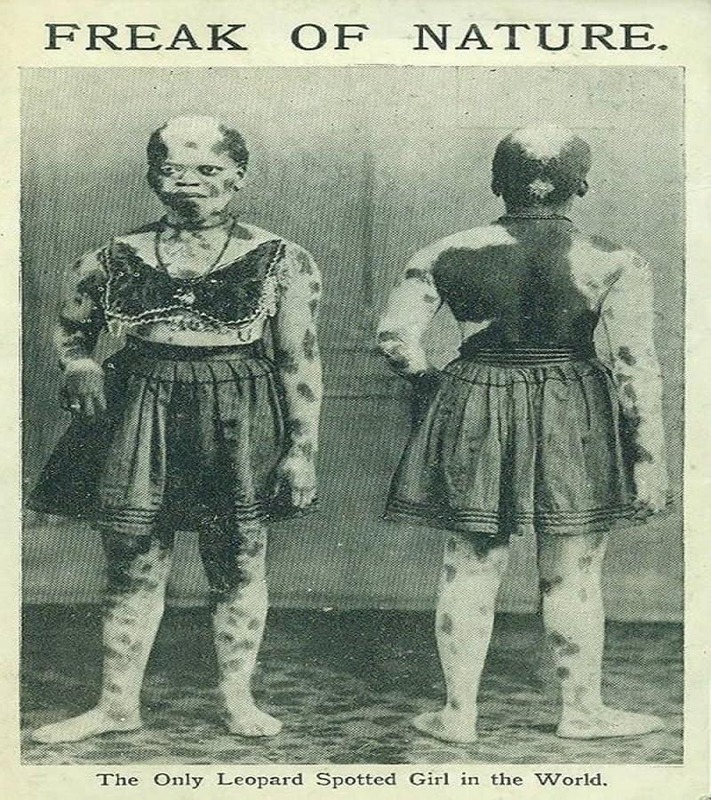 Louise ‘The Leopard Girl’ was one of the first people in the world who was diagnosed with a rare skin condition that caused spotting. 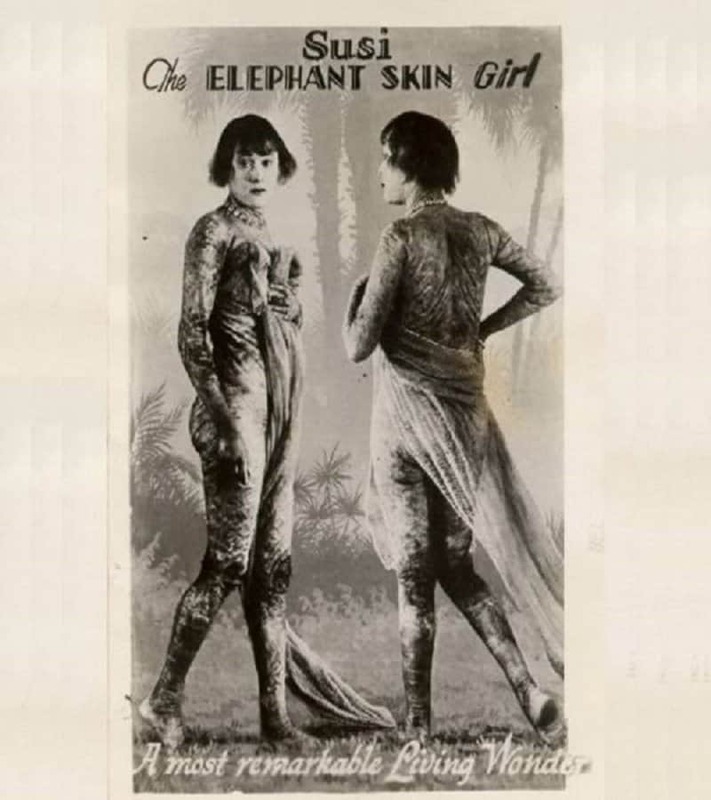 She went on to become one of the most famous sideshow attractions in Africa.